The last few weeks, developers almost every day please the players with new features that will be added to Minecraft PE 1.2. Basically you can find out new information from Twitter where the Mojang team publishes additional screenshots of how it will look. Let's start in order and show the main updates that will appear in Minecraft Pocket Edition 1.2. I advise you to watch the video to understand the principle of the new system. Now the input of complex commands will be accelerated, which reduces the number of typos on the mobile interface. Apparently this is done for the updated command interface, which really requires analysis of the input commands in the context of each input parameter. No one doubted that they would be added to MCPE 1.2. So, these birds live in the jungle and are in different colors. It is not known whether a parrot will be able to sit on your shoulder, but in any case you will see them in the next global update. 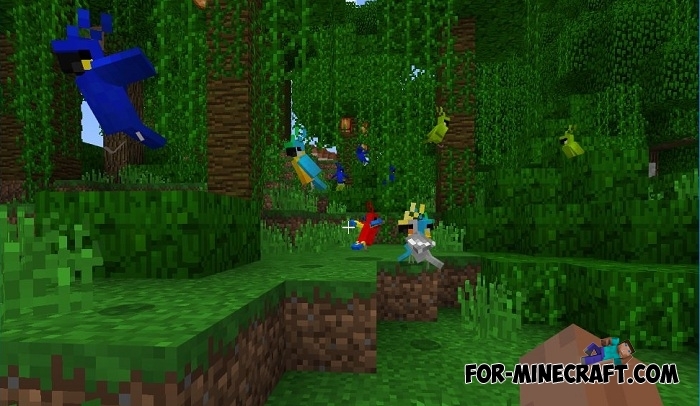 Below is a screenshot confirming the existence of this mob. Many players want to listen to music with a lot of discs right in the game. Perhaps the Jukebox will be available and you will also get a stack of discs with different melodies. Another unusual fact is that the parrots know how to dance when the Jukebox is turned on. It is likely that this function will not be an exception. To see all the information about the upcoming update, click on the link below. There are collected all the features that we will see very soon. Dragon Dance Texture pack (MCPE 1.1.X)Are you looking for a beautiful and cute texture pack for Minecraft Pocket Edition? 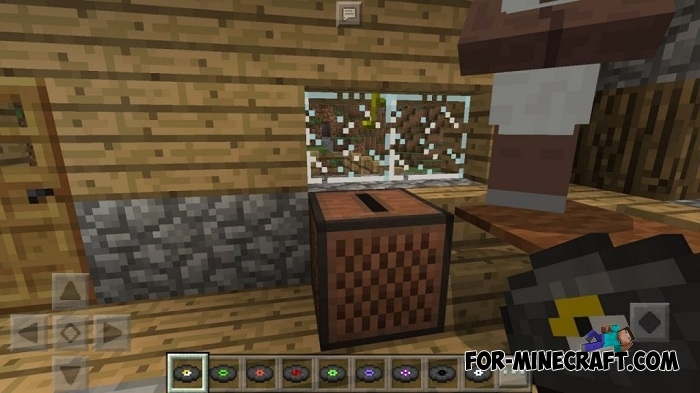 Discs Addon (Minecraft PE 1.0.4.1)Discs Addon adds 12 music records from Minecraft PC. All the records were taken from the original game..